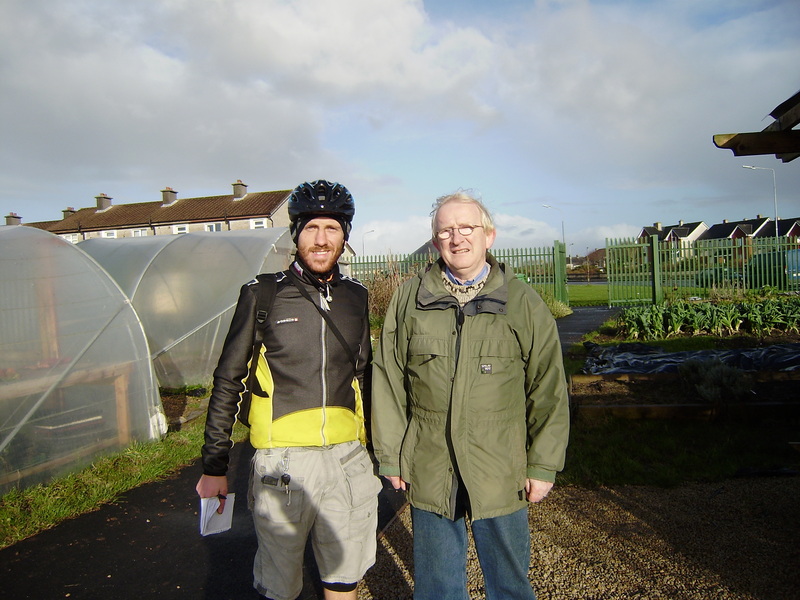 After a well-deserved night’s sleep at the Seven Horse Shoes Hotel in Belturbet, Declan brought me to Drumlane community centre to visit the garden. Drumlane is primarily a rural parish which includes a small part of Belturbet town. 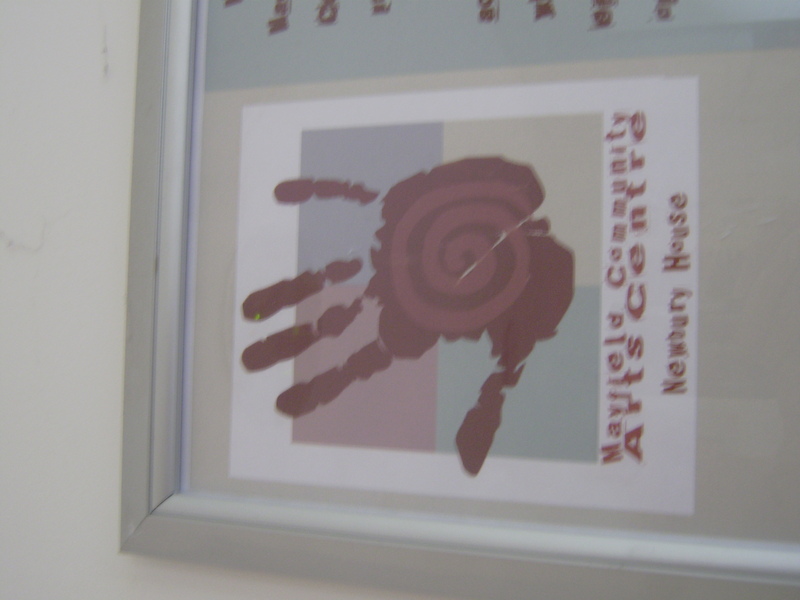 The community centre was built five years ago and has been paid for mainly by community fund-raising. It now provides a childcare service and a myriad of sports and community facilities, as well as being home to the Drumlane Sons of O’Connell GAA club. A patch of unused GAA club land adjacent to a children’s play area and the football pitch has been developed in to a thriving community garden. November is not a great time to visit but this video gives a flavour of the garden in full bloom. 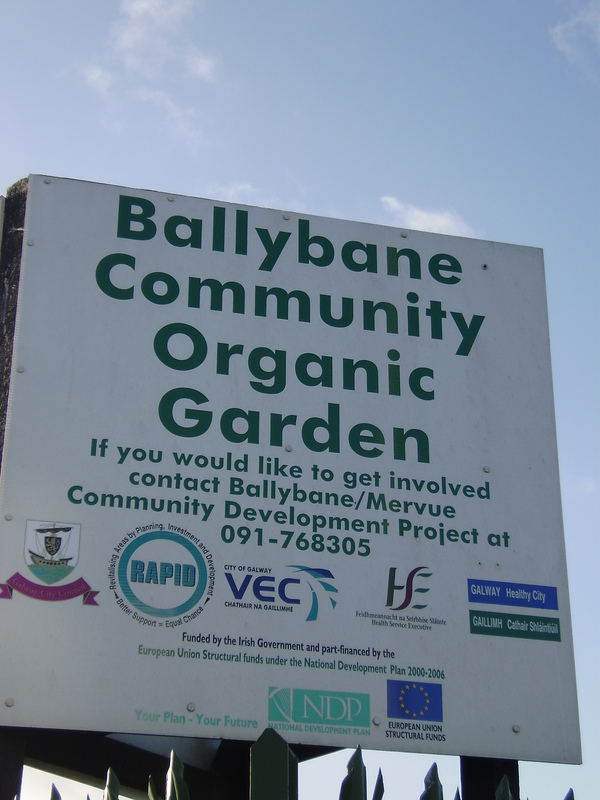 The Ballybane Community Organic Garden is organised through the Ballybane/Mervue Community Development Project (CDP). 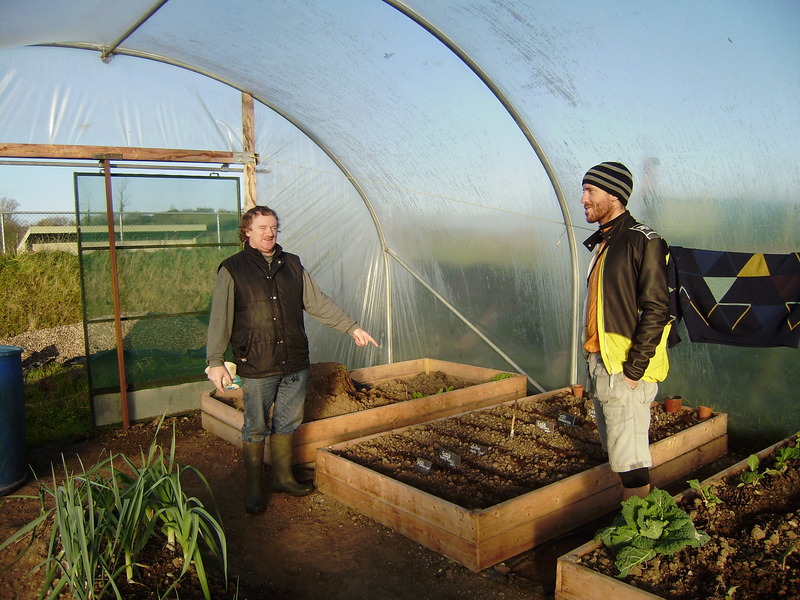 It was set up in 2006 by the Galway Healthy Cities Forum (Galway City Development Board). The project is funded by RAPID, Health Promotion Services, HSE West and City of Galway VEC. 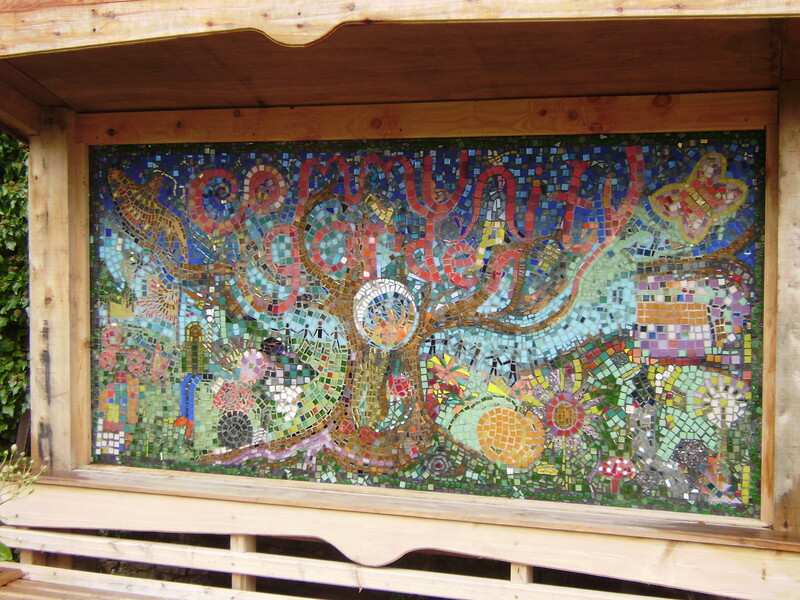 The Mandala of Community Gardens (see previous post on CorkSimon gardens) project in Cork city coincided with the renovation of the arts centre in Mayfield. A grant was provided by a private donor to develop the garden in to a space for the community as part of the renovations. Local people were asked to participate in the design of the garden and workshops were held to bring peoples’ ideas together. Eimer and Claire, two external members of the Mandala project, brought groups and volunteers to Mayfield to work on the garden including a group from the permaculture course in Kinsale and gradually the garden took shape. This year’s earthquake drew people’s attention to Haiti, the poorest country in the Western Hemisphere. The damage caused by the quake was made worse by the desperate living conditions of the majority of poor Haitians, poor building standards and the concentration of people in shanty towns in the capital Port-au-Prince. But what lay behind this lack of development and dire poverty? What made so many Haitians move from the countryside to the city? 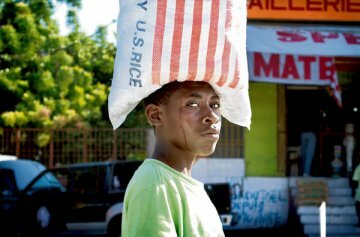 The Haitian case is a prime example of many of the issues facing developing countries and the threats to their food sovereignty.